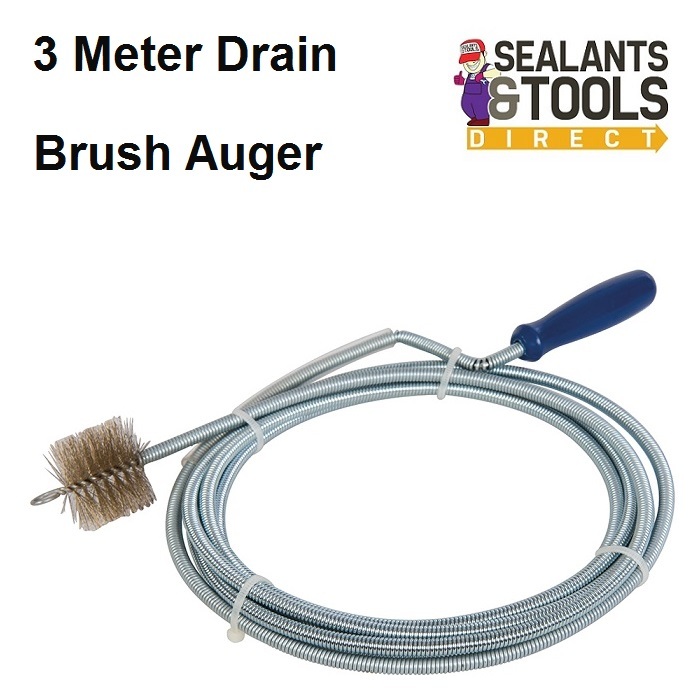 3m spring brush drain auger used for clearing blocked waste pipes drains and sinks. Designed so that it travels around the bends in the Pipe work the brush enables the inside of the pipe to be cleaned of stubborn debries. Cleans debris and fat residue from sink drains, traps and wastepipes. Can also be used to clear other household pipes. Brushed end and integrated handle.